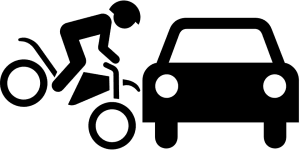 Pedestrian and Bicycle Accidents - Hauer & Co. Copyright 2017 Hauer & Co..
A bicycle or pedestrian accident can be a devastating life-changing event as it may cause extreme long-term pain and suffering, permanent disability or disfigurement. Coping with the trauma associated with such an accident can be nearly insurmountable, especially when the physical pain is mixed with emotional distress. Our firm’s personal injury lawyers are trained in representing cycling-motor vehicle accident victims and their families. At Hauer and Company, we will guide you through all aspects of your case, including time limitations, documentation and assessment submission. Our expertise will allow us to complete a thorough case investigation as we work with professional experts such as accident reconstruction engineers, medical experts, occupational therapists, physiotherapists and vocational counsellors to ensure that we obtain the best resolution for you. Contact Hauer and Company if you or a loved one has been the victim of a pedestrian or bicycle related accident. Need help with any kind of Personal Injury issues? Choosing the right law firm is crucial. At Hauer and Company, we put clients’ best interests first. Call or email our personal injury lawyers BEFORE you discuss your accident with an ICBC adjuster. Copyright 2018 Hauer & Co. All rights reserved.